The inaugural Cambridge Chinese Cultural Festival was a huge success in quality, turnout and community engagement. 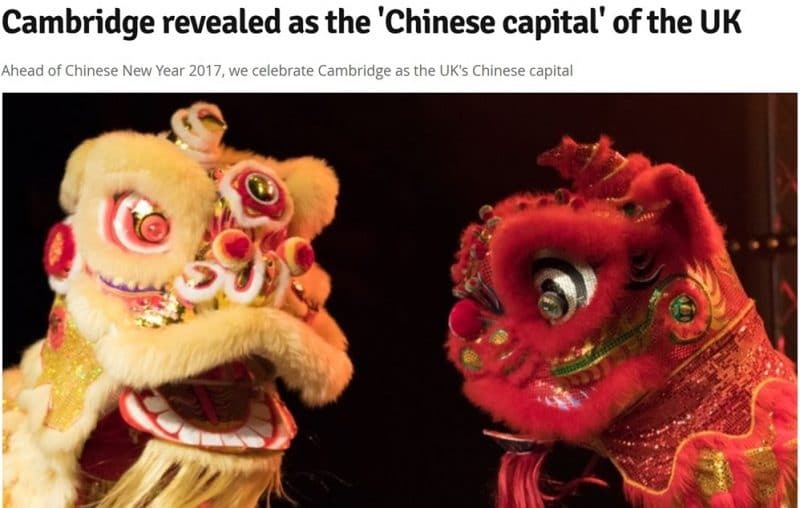 The long-overdue festival was a perfect fit for Cambridge, with its interlinked UK|China business and technology connections as well as the 6000+ Chinese residents, students and scholars contributing to the community. Through the series of diverse high-quality showcases of Chinese culture, the festival successfully brought together the residents of all backgrounds, local businesses, university faculties, museums and public sectors. Notable successes included a record high attendance at CCCC Spring Festival Fair & Gala Performances, and the Family Day at the Fitzwilliam Museum with 460 participants which doubled any of previous family first events. 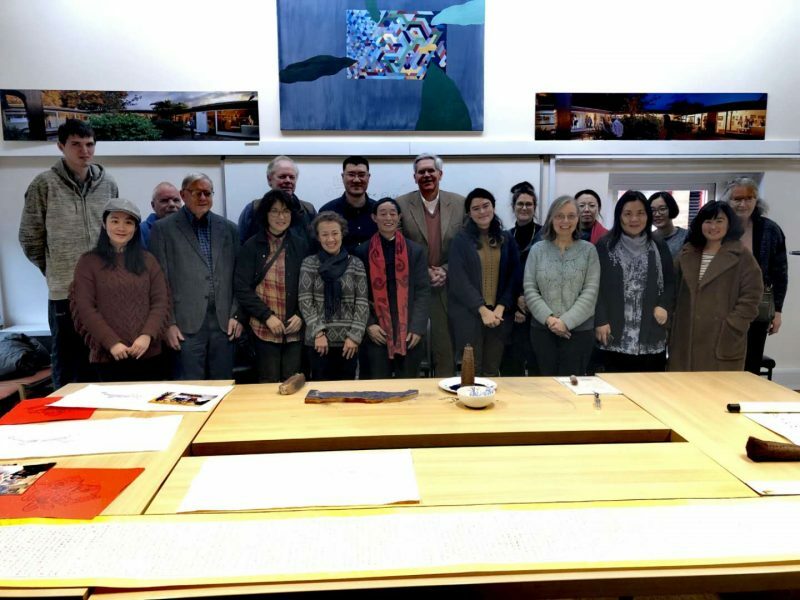 The Art Exhibition held at St Catharine’s College, Ancient Arts in Contemporary China, presented internationally recognised Chinese artists and artworks to Cambridge, from the finest of Jingdezhen porcelain making to designer scarves from Beijing’s ultra-modern 798 Art Zone. 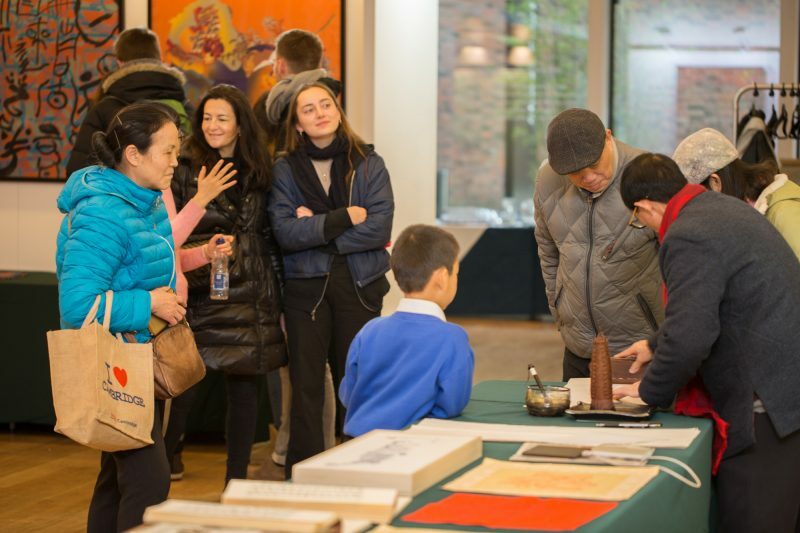 The art of woodblock printing, one ancient China’s “four great inventions” was demonstrated in Clare Hall through a packed exhibition and talk by a fourth-generation printing master. 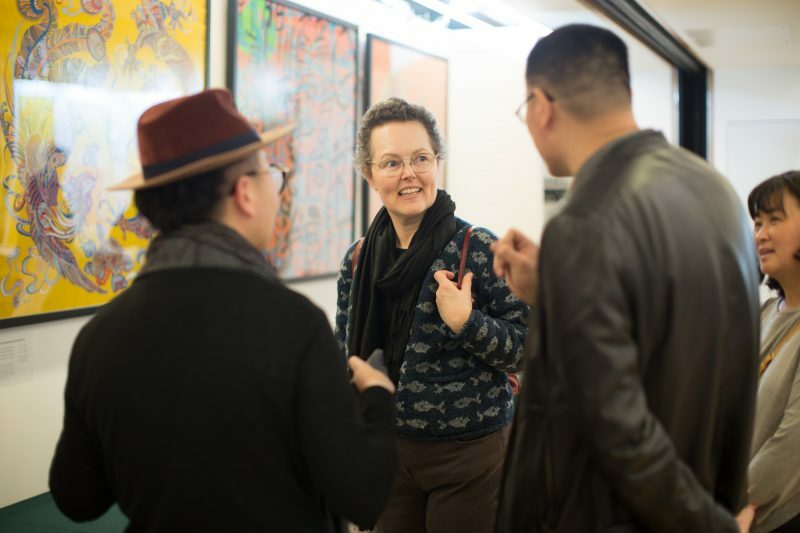 To cap the public exhibitions, the Cambridge Chinese Cultural Festival partnered with London’s Filming East Film Festival to screen a new Tibetan film whose themes appropriately underscored the diversity, challenges and resilience of Chinese culture. 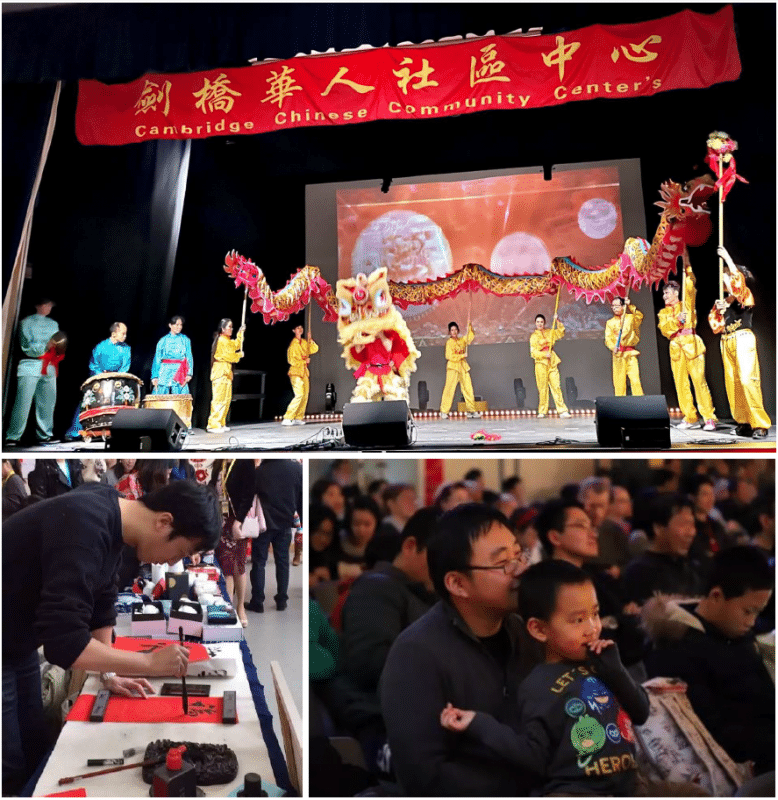 Having presented Spring Festival celebrations for over 20 years, The Cambridge China Community Centre hosted their annual gala highlighting the local Chinese community and performing talent. The event featured a variety of Chinese foods, decorations, entertainments, family activities and the ever-popular dragon dances. Always a great buzz, the volunteers and their efforts made sure that the event was a great success and an excellent opportunity to experience traditional New Year celebrations with family and friends. A record-breaking success, our first collaboration with the monthly Fitzwilliam Family Day more than doubled previous attendance numbers. Children were invited to take part in traditional Chinese New Year activities such as lantern-making room and paper-cutting workshops led by Shiqi Gao, whose family are recognised traditional paper-cutting masters. 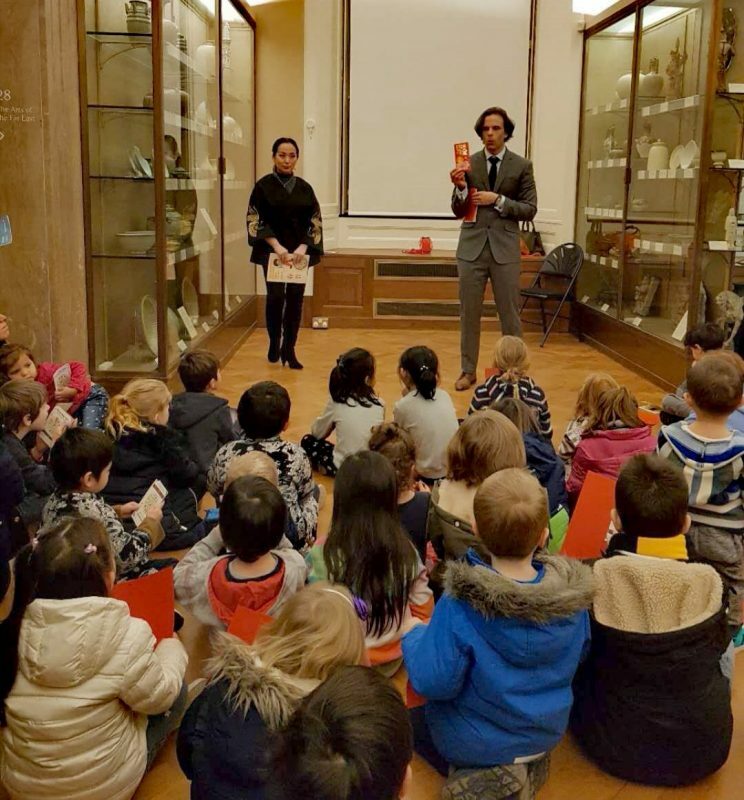 A special Family Trail was created in collaboration between the Fitzwilliam and the Cambridge China Centre that helped families learn in which year of the zodiac they were born and provided treasure maps to explore the museum and find artwork with the birthday animals. Storytelling sessions, including tales of “The Jade Emperor’s Great Race” and “Nian the Monster”, gave children and their parents a better understanding of the Chinese zodiac, holiday foods and decorations, and the always-exciting ‘red packets’! Due to the success of this event, plans are underway to coordinate with multiple museums cross the city next year to meet the overwhelming demand. 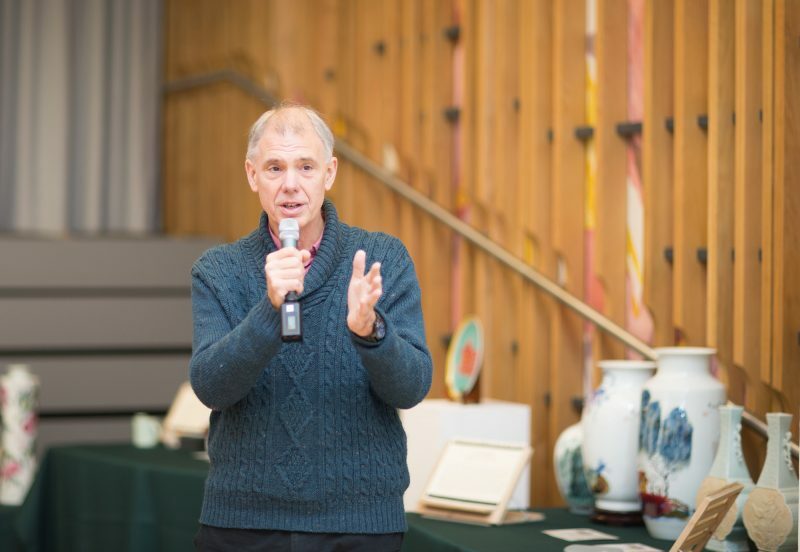 In the opening remarks of the exhibition, Professor Hans van de Ven of the Faculty of Asian and Middle Eastern Studies, stated that by coming to better understand Chinese art, we can begin to better understand the depths of Chinese history and society. 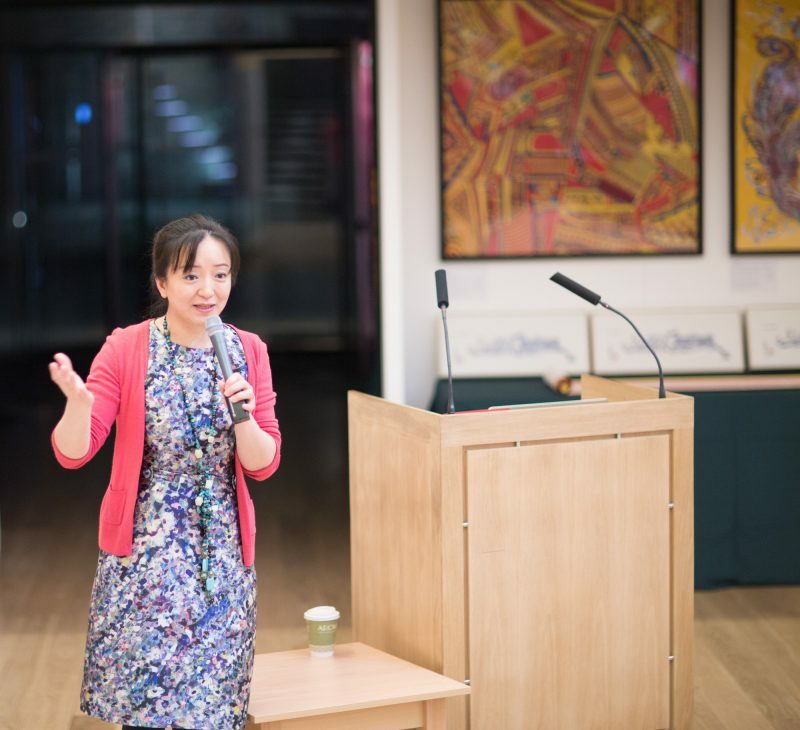 Jinzhao Li, Director of Cambridge China Centre & Co-founder of the ‘Cambridge Chinese Culture Festival’ explained to the audience that, to address the theme ‘Ancient Arts in Contemporary China’, the artwork was arranged into three branches of creative works: porcelain, woodblock printing, and designer scarf design. Visitors were greeted with the most contemporary of the three, the scarves, when they entered the exhibition. Visitors then journeyed back through time and tradition to experience the porcelain sculpting and painting before concluding with woodblock printmaking, one of the “four great inventions” of ancient China. 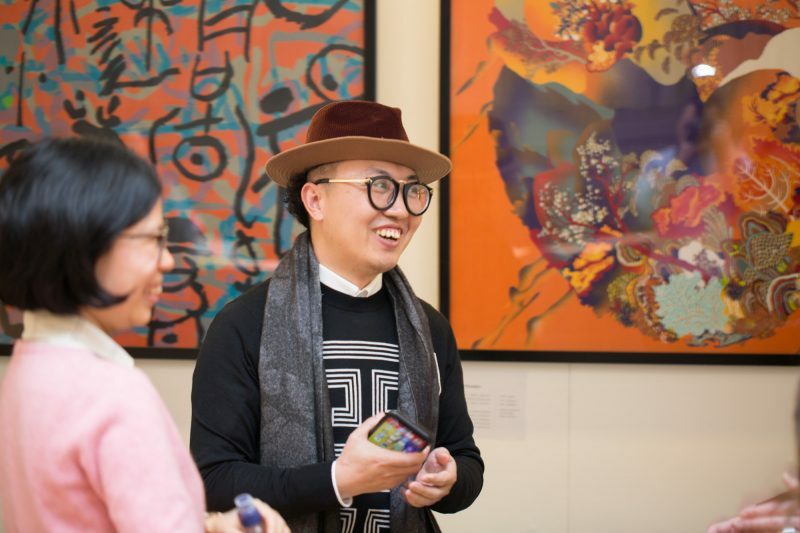 A colourful and vibrant greeting awaited visitors as they were given an impressive taste of Beijing’s contemporary 798 Art Zone through a series of framed scarves by Hongming Ge, the lead creator of the Jiuzhangji designer scarf brand. Mr Ge’s scarves brought new life to classical themes including Chinese poetry and the zodiac. The Cambridge Chinese Cultural Festival gave the artist an opportunity to debut his newest design, an auspicious and highly-admired Year of the Pig design. 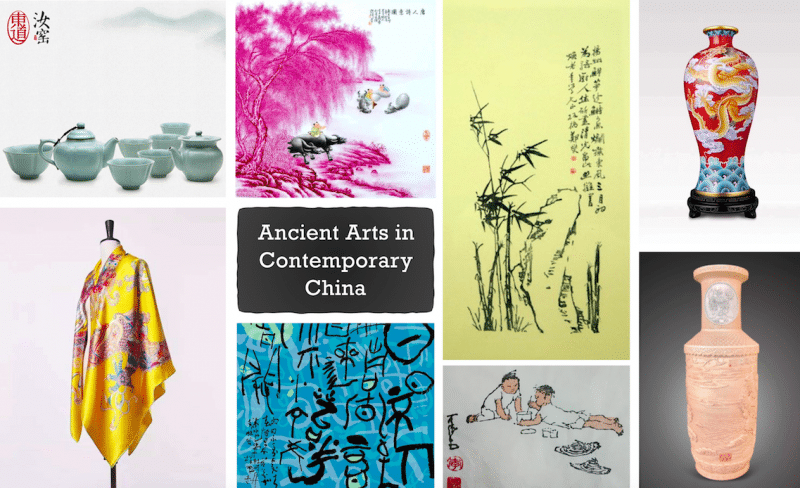 The porcelain exhibition showcased several works by Aiquin Cao, an internationally-exhibited recognised master of porcelain painting and sculpture from Jingdezhen. 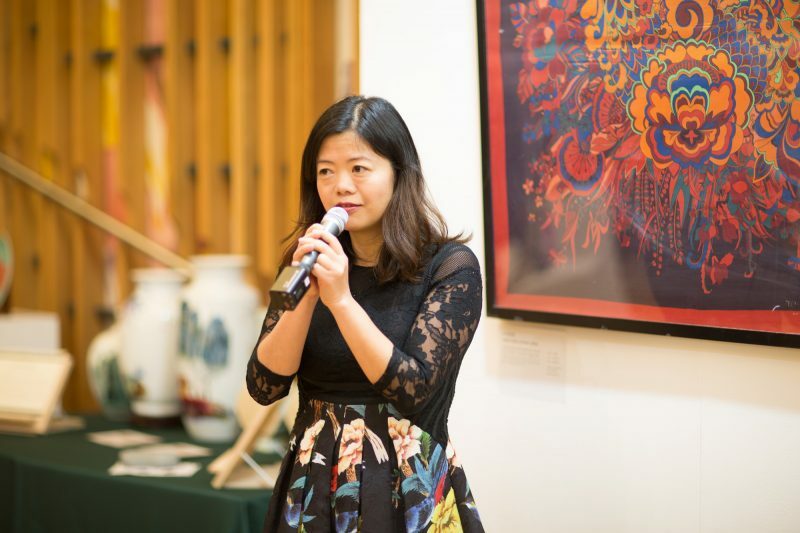 Her daughter, Qun Yang, was on hand during the opening of the event to answer questions and explain the “88 steps” of porcelain making and the processes of her mother’s work. In addition to the Cao masterworks, the exhibition included Jingdezhen porcelain pieces by Professor Wenue Li. Professor Li’s works were of a very different style than Aiquin Cao’s and demonstrated his mastery of famille-rose colouring and use of grisaille drawing to give extraordinary depth to his traditional scenes; making it seem as though you could hold the painted characters in your hand. Adding further richness to the porcelains was a spectacular dragon vase by Jialin Dai, “the number one expert in Chinese cloisonné”. Using painstakingly fine cloisonné to give texture to the dragon’s scales, clouds and water, Mr. Dai’s work was one-of-a-kind in Cambridge. Rounding out the painted porcelain was a display by Professor Yanzu Li (Tsinghua University), whom uses his deep knowledge of historical Chinese painting styles and techniques to produce vases that are perfectly balanced in beauty, elegance and technique. 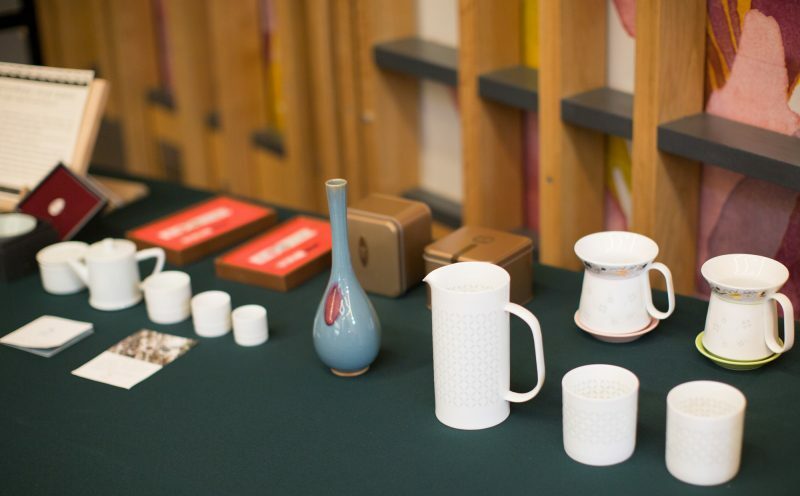 Adding a joyful surprise at the end of the porcelain display were contemporary tea sets by China’s tea-expert couple, Jiegen Xu and Chaoyu Li, of Hengfu Tea Culture Limited (China’s first NEEQ-listed tea company). Having spent decades investigating lost porcelain and pottery-making techniques, and discovering how to make them, the exhibition was able to showcase some of their newest successfully-recreated Ru-Wear and Dongdao. The exhibition visitors admired the tea sets for their beauty, the scientific research behind them, and the special qualities that made their admirers want to pick the pieces up and hold them in their hands. 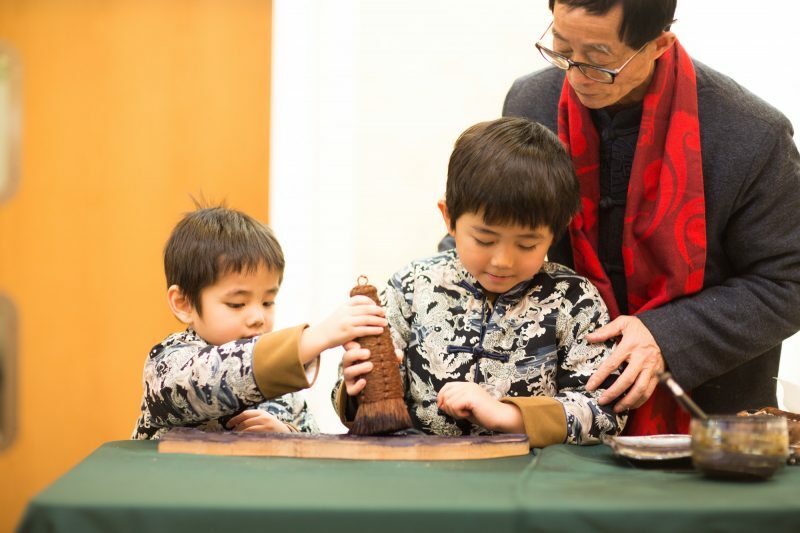 The last section of the exhibition allowed the visitors to step back in time to see the production and output of one of China’s four great ancient inventions, woodblock printing. Jiangmin Li, a fourth-generation master, was in attendance to give demonstrations of his carving and painting process. 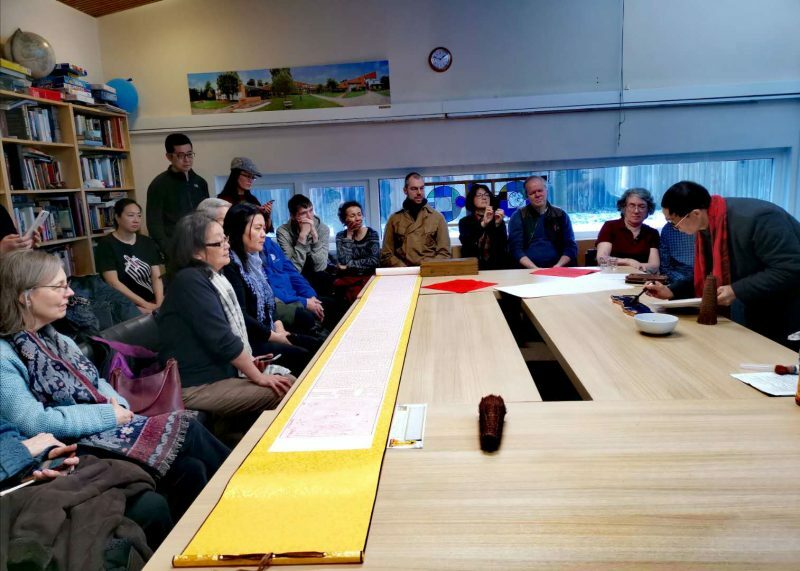 Mr. Li’s ‘workshop’ and painted scrolls gave the exhibition attendees a chance to experience how ancient traditions are passed on through families and rediscover relevance through ever-changing modern times. 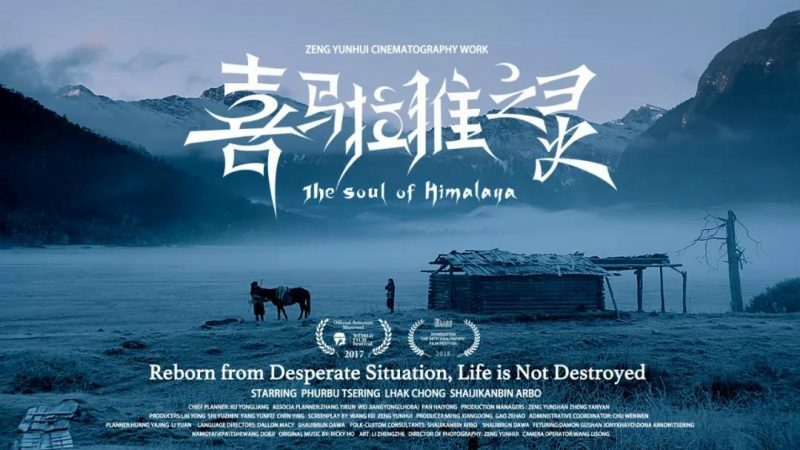 To bring together the themes of the exhibitions, the Cambridge China Centre partnered with London’s Filming East Film Festival to bring a new Tibetan film Soul of the Himalaya and its director Yunhui Zeng to Cambridge. Shortlisted for the Montreal International Film Festival Competition and the Asia Pacific Film Festival, the film explored themes of diversity, challenges and resilience. The story focused on the 8th century Bogar tribe in the mountains of Tibet and employed ethnic Lhobas, for supporting roles. Soul of the Himalaya offered a rare glimpse into a culture that must continually adapt and rediscover itself to avoid disappearing in the face of an encroaching modern world. After the screening, the film’s director, Yunhui Zeng, answered questions from the audience and discussed the challenges of filming on-site in the Himalaya. The fascinating discussion included the challenges and dangers posed by working in remote locations, working with live animals and also how the filming crew minimised their impact on the pristine mountain environments. 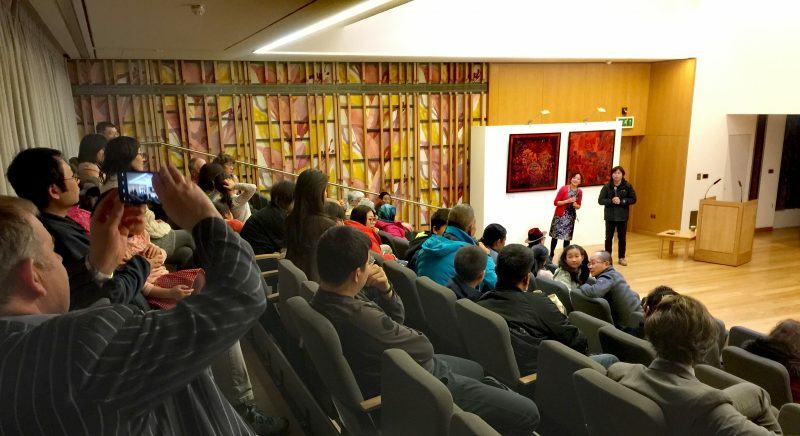 Woodblock printing master, Jiangmin Li, presented a lecture and on-site display titled, 1300 Years’ Woodblock Print, to discuss the historical significance and techniques of the woodblock printing heritage. 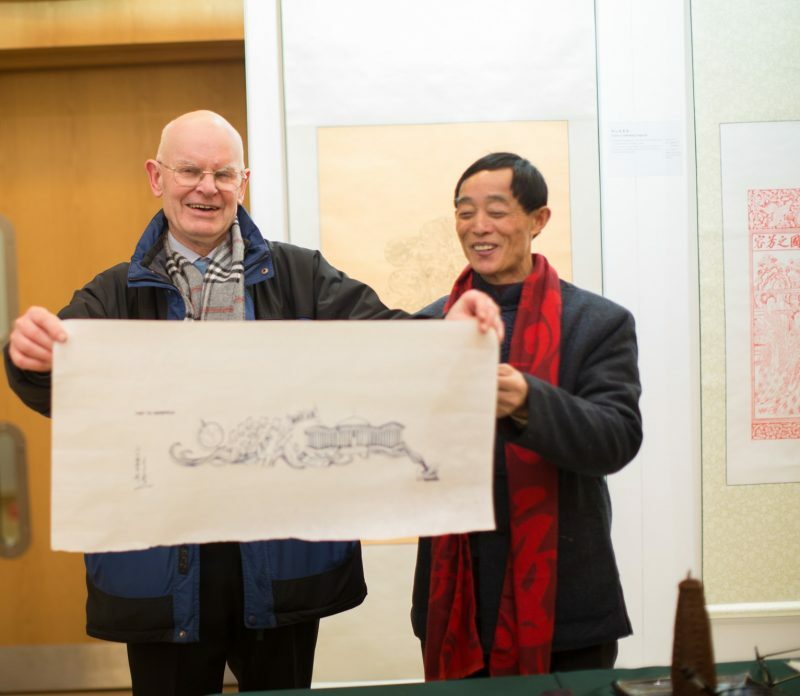 Descending from a family that has been engaged in engraving and printing for four generations, Mr Li rose from an apprenticeship with his father to become the provincial representative of the UNESCO-recognised engraving and printing skills. Attendees had the rare experience of observing his working process and were invited to engage in a lively and fascinating question-and-answer session. At the end of the session, Mr. Li presented one of his handmade scrolls as a gift to Clare Hall. 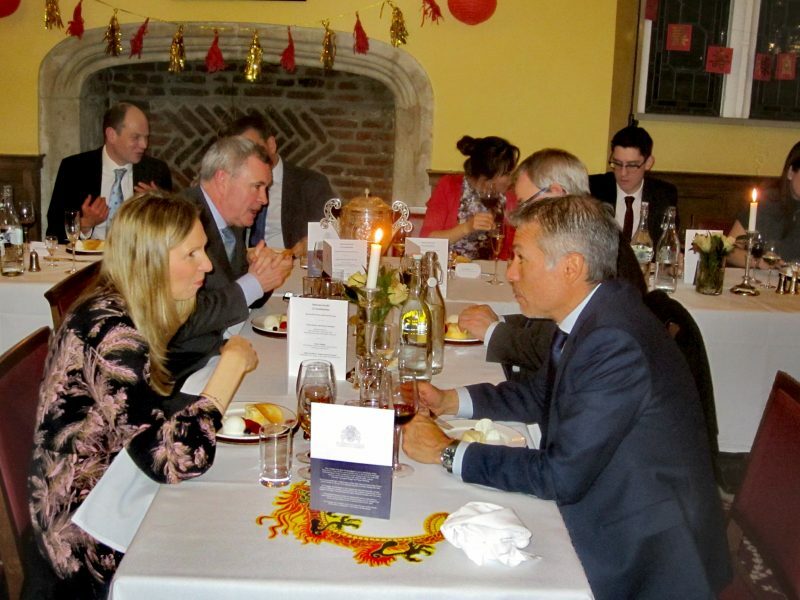 The festival closed with a special New Year Gala Dinner at St John’s College. 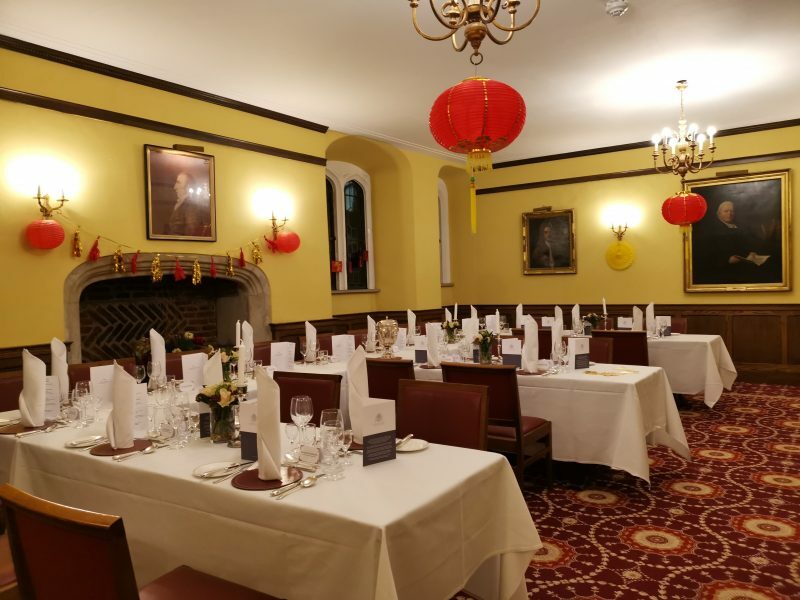 Held in collaboration between the Cambridge China Centre and the Cambridge Community Centre, the dinner and reception provided an intimate space for leading business professionals, industry experts and investors to make connections, network and gain insights into Chinese culture. With a Chinese-inspired menu designed by a former Michelin chef, a range of European and Chinese wines, and fun teamworking activities with prizes, a highly-memorable and professionally useful evening was had by all. 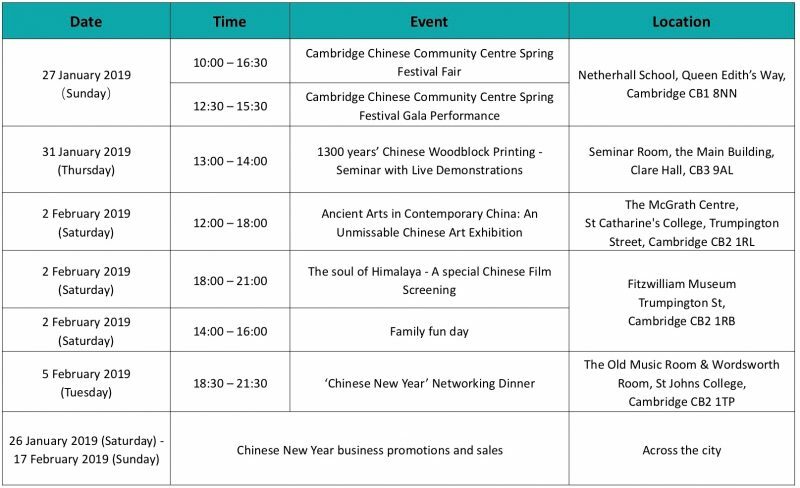 Cambridge China Centre & Cambridge Chinese Community Centre would like to acknowledge the great support from the Faculty of Asian and Middle Eastern Studies Cambridge, Fitzwilliam Museum, St Catharine’s College, Clare Hall, Anglia Ruskin University, Alipay, Cambridge Business Improvement District (BID) and the 1,200 local businesses that they represent, Visit Cambridge and Beyond (VCB), Nanna Mexico, Filming East Festival, Jingdezhen Cao Aiqin Art Museum, Jingdezhen Famille-rose Porcelain Art Research Institute, Yangzhou Canal Engraving and Heritage Protection Centre, Hengfu Tea Culture Ltd, Beijing Jiuzhangji Culture and Art Media, River Cam Breeze Chinese Literature Journal, Beijing Jinring Consult, First UK Education and Tourism and CFCC Cambridge.